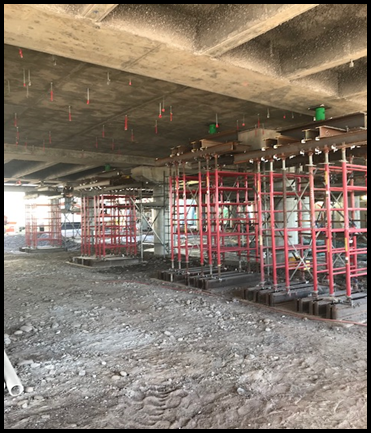 Restruction Corporation was contracted to replace temporary bearing pads on the Phoenix Sky Harbor Terminal 3 expansion project. 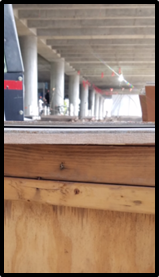 In order to accelerate completion, a general contractor had placed a temporary bearing pad between the beam/joist slab bearing and the top of the columns. 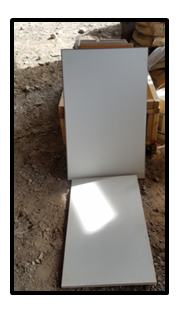 A slide-bearing assembly was specified for the project, but fabrication and delivery time did not accommodate the project schedule. 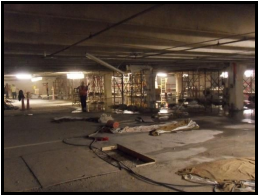 Restruction Corporation installed engineered shoring designed for the weight of the structure and jacking force reactions. 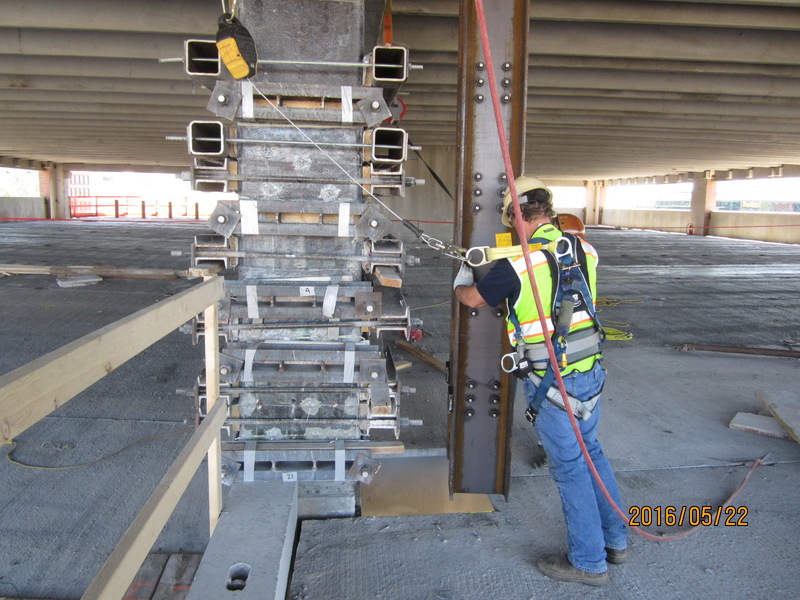 Multiple 55-ton locking ring jacks were used for safety. Lifting forces at each column were 136,000 lbs. 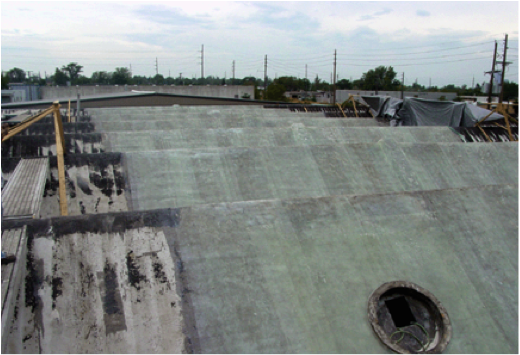 Nine locations were lifted, the temporary pad removed, and the new slide-bearing assembly was installed. 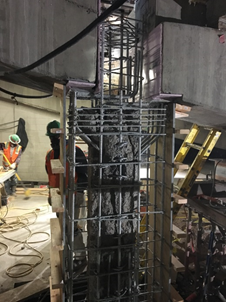 Using the 55-ton locking ring jacks eliminated the need for and cost of shoring towers to support the slab during pad replacement. 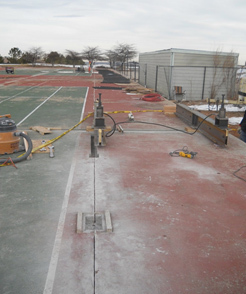 Using calibrated jacks and pressure gauges provided safety, as lifting forces can be monitored. 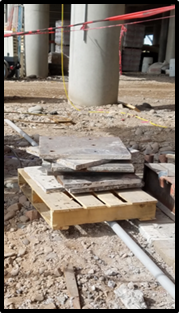 In addition, jacking systems can also be used to pre-load concrete repairs onto columns at bearing points and for pre-stressing.